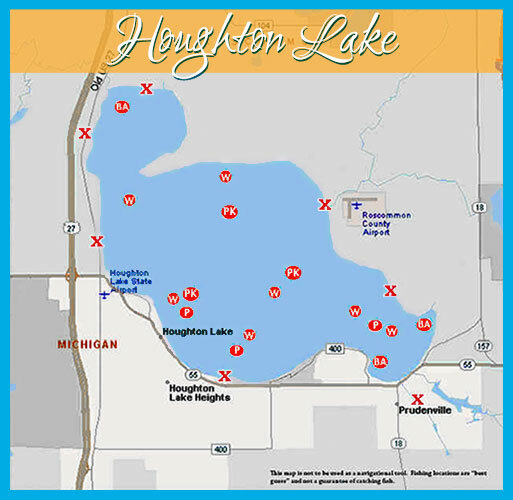 In Roscommon County you will find great fishing on all three of our county lakes (Houghton Lake, Higgins Lake & Lake St. Helen). 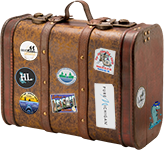 Fishing abounds for a variety of species including; Lake Trout, Perch, Crappie, Smallmouth and Largemouth Bass, Northern Pike, Brown Trout, Rainbow Trout, Walleye, Northern Pike, Bluegill and more. 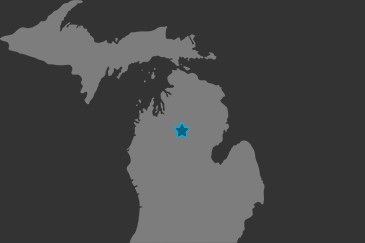 Michigan's largest inland lake covering 22,000 acres. 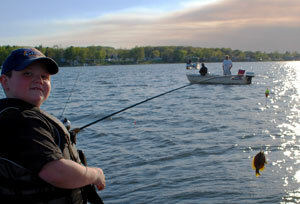 The lake offers great fishing possibilities. 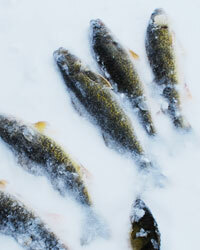 Here you will find good fishing possibilities for walleye, pike, bass and bluegill. 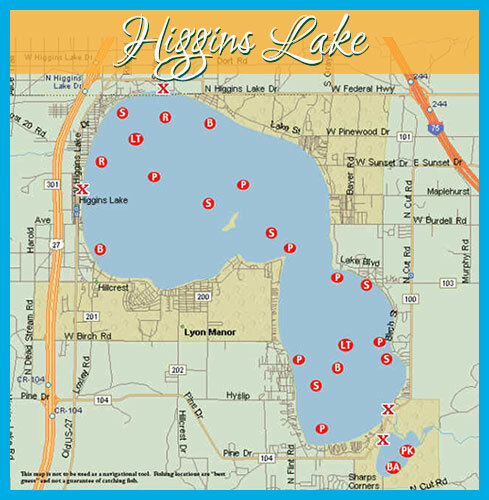 There are seven access sites strategically located around the lake. 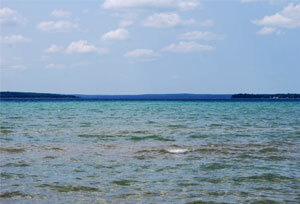 Designated as the sixth most beautiful inland lake in the world. This 10,185 acres lake features easy access as well as opportunities to catch lake trout, bass, pike, perch, small mouth bass, rainbow trout and more. 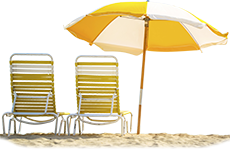 Marine Sales and service. Summer dockage and gasoline on water. Also handles winter storage. Open May until Nov. Open 9 a.m. - 5 p.m., closed on Wednesday. 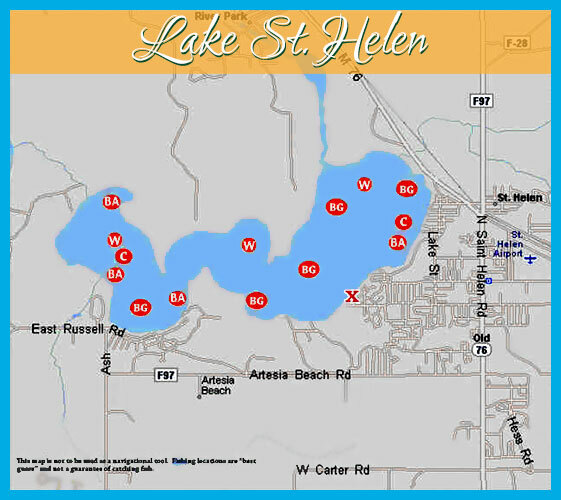 Located just off Interstate 75, Lake St. Helen covers 2,390 acres. 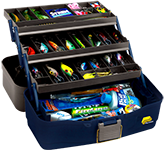 Anglers will find fishing is fantastic. Fish in the 8 to 9-inch range are common. Crappie population is growing. Largemouth, northern pike and walleye are also present. Here you will find good fishing for bass, bluegill, walleye, and rock bass. 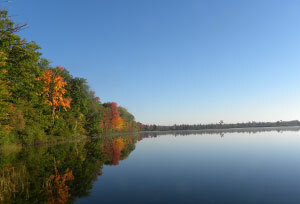 This manmade lake is extremely popular with anglers and boaters alike. 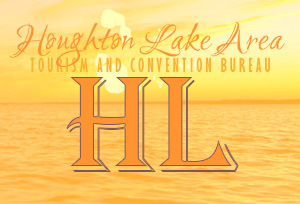 Experience the excitement of winter fishing on Houghton Lake, Higgins Lake and Lake St. Helen. 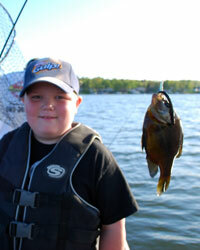 Here you will find perch, crappie, small and large mouth bass, northern pike, walleye, pike, bluegill and more. Shanties MUST be removed by March 15 from all bodies of water. Fly-fishing is incredible on the AuSable River, famous for its world-class Trout fishing. 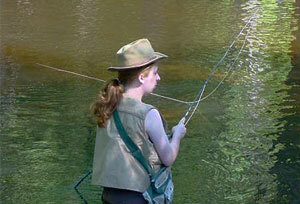 This type of fishing is done in early spring with nets on the Cut River and the Muskegon River. 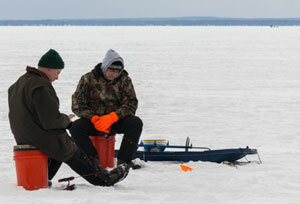 Fish through the ice for smelt on Higgins Lake with hook and line. There are several fishing tournaments on our three lakes; the search for the biggest Walleye, Bass, Bluegill, and Trout that live within these waters make it the “fishing spot” to be. 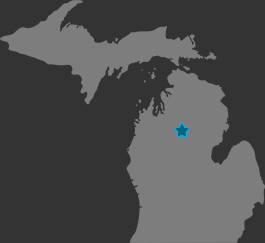 RCL, Michigan Bass Association and Wal-Mart are just a few that sponsor tournaments at one or all of the lakes throughout the year. The Cut River connects Marl Lake to Higgins Lake giving ample opportunity to fish for Perch, Smallmouth Bass, and Northern Pike. Most anglers use a canoe or small boat and fish in the center of the lake because it is considerably smaller, shallower and less developed than other lakes in the area.